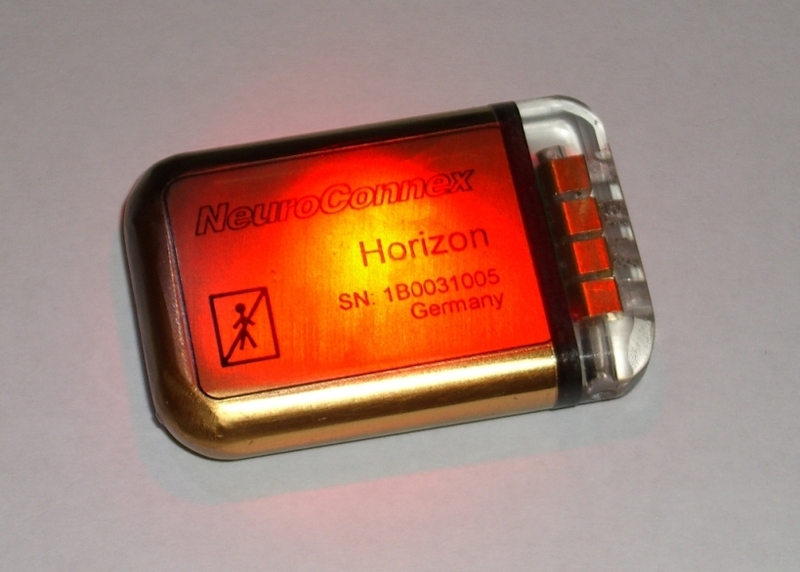 Series “Horizon”, designed for long-term electrical stimulation of brain structures, nerves or muscles, offers you a universal platform for different applications. The 4-channel constant current stimulator is capable of generating several standard wave forms or be programmed to generate a free-form stimulus. The double–core architecture based on two CPUs with more than 50MIPS computation power makes you application very safe against software errors during algorithm development. Rechargeable Li-Polymer battery provides enough energy for more than four weeks of continuous operation. Open Software Interface includes several libraries to control the stimulator and sample application, implementing closed-loop algorithms. Dedicated development tools allow you to deploy new recording or stimulation programs already after implantation.